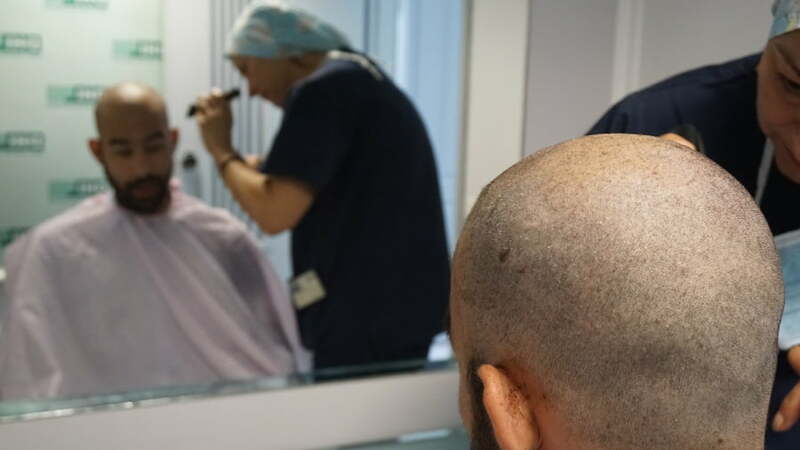 Right after the hair transplant, Konstantinos shared his experience and stated that the whole procedure was way more simple and painless than he thought it would be. “I feel absolutelly perfect with no pain at all. During the procedure i was very relaxed and there were times that i even fell asleep! Now, all i got to do is wait for the new hairs to grow. I would like to thank DHI for the free DHI session, it’s a dream that came true”.